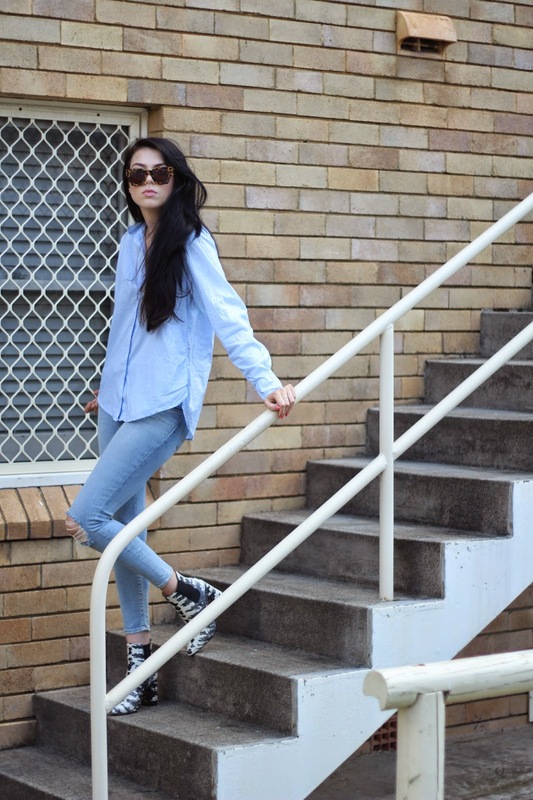 Comfy day staples- J brand denim, and oversized baby blue shirt, this one is by Jac and Jack. So comfortable, so perfect. All can be purchased from weareroar.com.au!